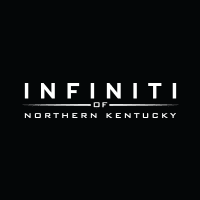 Get into a new INFINITI for a great price when you shop with INFINITI of Northern Kentucky! We believe every Cincinnati, OH driver deserves to drive the car of their dreams, which is why we offer a rotating selection of special offers. Explore our extensive inventory that supports nearby Lexington dealerships, then contact us to elevate your daily Florence drive! We are proud to offer Covington drivers and beyond a rotating selection of lease deals and finance offers, helping you find the vehicle you want at a price that works. Shopping for a car near Newport doesn’t have to be stressful, which is why we provide you with helpful tools such as our auto payment estimator on online financing application to make your process a breeze.